Last summer, Skip N' Whistle approached me to style several of their t-shirts to help promote the launch of their new website! I was very excited to participate and share the images (especially the ones with my bully) but due to some unforeseen circumstances the site launch got a little delayed. Well, I'm happy to announce that their new site launched last week and looks great! Each one of their t-shirts have that soft, vintage feel, and they carry a nice selection of unique graphics with fun sayings. I'm really loving this new camera tank for summer. UPDATE: Head over to Skip N' Whistle's new site and enter code "aloyallove" for 15% OFF your order!!! What a great opportunity, especially with graphic tees being "in". I especially love the unicorn one. 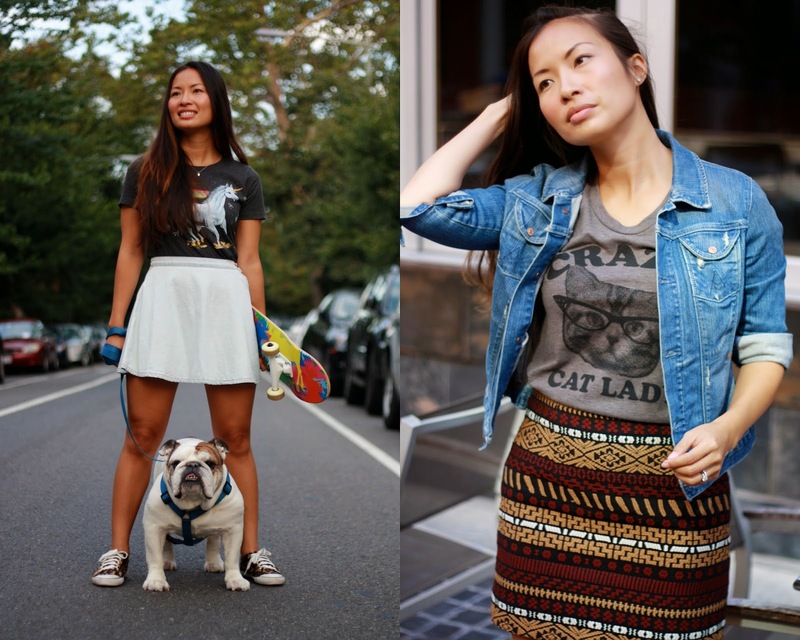 You know I need the cat lady tees! Love them all, you look amazing as usual.